I can no longer find the ITV teletext story mentioned by Graham (though I did see it earlier in the night) and I can find no reference to it in Google News or anywhere else. Therefore, if it's really gone from teletext, it is either wrong - or more likely ITV may have broken an embargo on its release which would have been set for 9pm on the 31st. This may partly be Classic FM's fault because their website originally said it ends on 30th December (which I had to correct in the thread). So unless this appears again - in print or on a reputable website - preferably with the source shown as The Official Charts Company or Classic FM, I think we will just have to wait and see. We cannot yet be sure of this as if it's wrong, it wouldn't be the first time in history that a media source has done that. Here's a press release from the 'Press Association'. Sounds good for our Hayley! Opera singer Hayley Westenra's debut is the biggest-selling classical album of the 21st century. The soprano released Pure when she was an unknown 16-year-old and it turned her into an international superstar. The album tops a chart rundown compiled by the Official UK Charts Company and unveiled by Classic FM. While the New Zealand-born singer, now 20, claims the number one spot, it is British stars Russell Watson and Katherine Jenkins who dominate the chart. Watson occupies second and third places in the list with The Voice and Encore respectively. The Salford singer is currently recovering from a life-saving operation to remove a tumour from his brain. Jenkins, said to be dating Strictly Come Dancing heart-throb Gethin Jones, has three albums in the top 10 - Living A Dream, Second Nature and Serenade. Fellow Welsh artists Bryn Terfel and the Fron Male Voice Choir also made the list. The only non-Brits to make the top 10 were Andrea Bocelli at number eight, and Hans Zimmer and Lisa Gerrard with their soundtrack for movie blockbuster Gladiator. The chart was compiled from classical artist album sales between January 1 2000 and mid-December 2007.The top 10 will be revealed on Classic FM. Well done Charlotte, Daisy, Laura and Melanie! 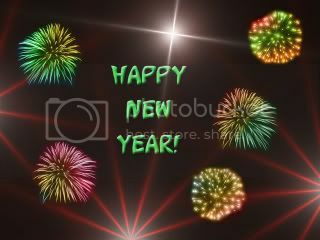 Happy New Year to Hayley and Family and all Kiwis in NZ!!! I may just have to tune in to Classic FM tomorrow morning NZ and hopefully find out the good news via the internet. Make sure you have adequate supplies of bubbly on hand to celebrate. It looks as though several sources have jumped the gun and let the cat out of the bag!! No doubt on the assumption that Classic FM's originally quoted end time of 9pm on 30th December was correct. The question now is What will they choose to play? My guess, indeed my hope, is that it is Pokarekare Ana, that will surely then make it officially Hayley's signature song! Congratulations Hayley on a magnificent achievement!! A very Happy New Year New Zealand!!! Now it is time to get exicted !!! I have received several google alerts about this today, it is fantastic news, a great achievement for Hayley. That is also fantastic news, I am listening to the chart right now, it will be interesting to see where All Angels debut album came. Here it's New Year's eve almost to 2008 in China. Now it's No.57. Still hours to go. Can't wait! BBC has now published the entire top 10 so i think we can safely celebrate! A breakthrough album from classical singer Hayley Westenra has been named the UK's biggest-selling classical album of the 21st century so far. The New Zealand-born singer, now 20, released her third album Pure when she was 15. British stars Russell Watson and Katherine Jenkins dominate the rest of the top 10 chart based on sales between January 2000 and December 2007. The list was compiled by the Official UK Charts Company for Classic FM. Classical music is alive and kicking in 21st century Britain, with the sales of many of these albums rivalling those in the pop charts," said Classic FM's managing director Darren Henley. Andrea Bocelli's album Sentimento was one of only three non-British entries in the top 10. Watson, who is recovering from surgery to remove a brain tumour, took second and third spot with his albums The Voice and Encore. Jenkins has three entries - Living a Dream, Second Nature and Serenade. You have company listening now !